Digitized files are transferred to the Scholarly Data Archive to be checked and converted to other formats. All files are transferred to the Scholarly Data Archive after digitization, where they are checked and converted to other formats for access (a process called transcoding). 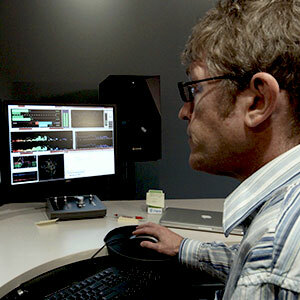 A dedicated server farm in the IU Bloomington Data Center manages post-digitization processing and transcoding. 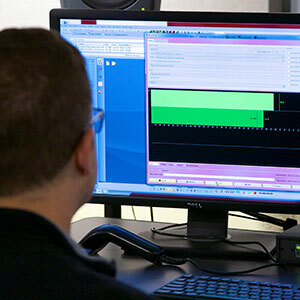 Once objects have been checked and are ready for post-digitization processing, they are queued onto one of four available transcoding servers, each of which can process up to three video objects or 24 audio objects simultaneously. All of the derivatives are placed alongside the masters in the Scholarly Data Archive, where digitized recordings are stored long term.